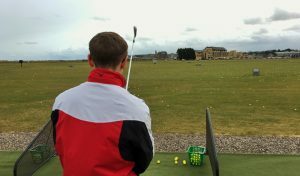 Here at the St Andrews Links Golf Academy, we pride ourselves on delivering the very best in everything we do, so when we started looking at new launch monitor options there was only ever really one in mind…Trackman! And “what is a launch monitor,” I hear you ask? Well, it’s a brilliant piece of kit which actually tracks the exact spin and launch of your golf shot, displaying the ball flight information on a computer monitor. However, not only this, it allows us to track exactly what the golf club is doing in terms of swing-path and angle of attack (to name just a couple). 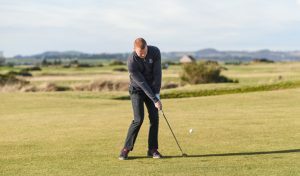 This is the interesting part from a coaching point of view because if we can measure what your golf club is doing through the impact area, we can help to improve this impact position in a huge way. I think most people associate a launch monitor with custom fitting for new clubs and this is certainly true, however, the cutting edge golf instruction uses this equipment to help the golfer in many different ways and as a world leader in instruction, we feel passionate about being involved. 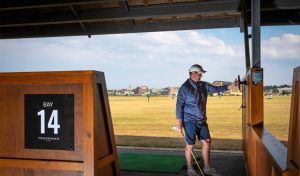 It is fair to say that with the introduction of launch monitors, many of the existing coaching methods and explanations have actually been proved to be quite misleading, even to the point where they are incorrect. 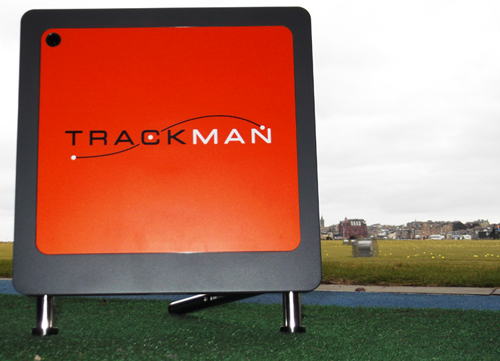 Using Trackman is a must for the progression of golf coaching and we are very excited to be part of it. I shall leave you with a teaser… Those of you out there who struggle with a slice; is your clubface open or closed at impact? If you think the face is open then you are wrong and I can prove it! Come along and see the machines in action. You will be very glad you did!